Is standard oncology care killing patients? In 2010, the Temel article reported that early palliative care prolongs survival in patients with Non-Small Cell Lung Cancer (NSCLC). 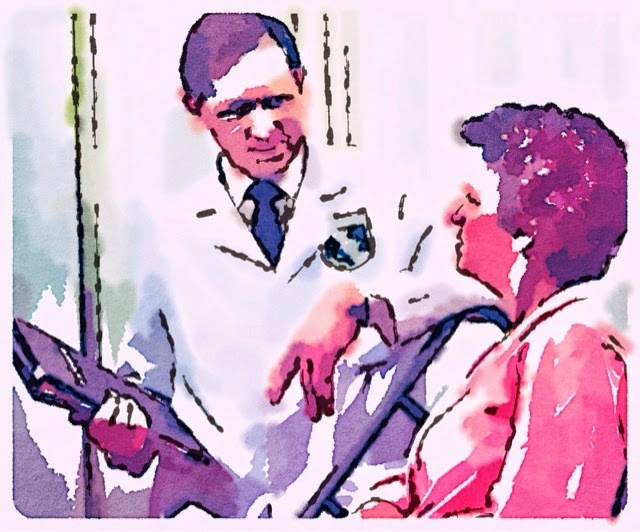 As a palliative care physician, I would love to believe that excellent symptom control attention to patients’ goals of care would increase a patient’s quantity of life as well as quality of life. However, I find it somewhat implausible that palliative interventions would prolong life in patients with NSCLC. What is the mechanism by which goals of care discussions delay the progression of cancer? How do opioids and other symptom management medications prolong life? Since the basic finding was that patients randomized to early palliative care lived longer than patients randomized to standard care, we must seriously consider the conclusion that standard oncologic care is shortening life. How might evidence-based, standard of care oncology therapies that have been proven to prolong survival in randomized trials actually shorten life? One possibility is that oncology trials (like most trials) enroll younger, healthier patients than standard oncology practice. We know that patients who are older with greater comorbidities and functional impairment are at higher risk of suffering the adverse effects of many treatments and less likely to reap the benefits. Thus, although the evidence may support the use of the standard chemotherapy in younger patients, when extrapolated to older, multimorbid, real-world clinical setting patients, the harms of the standard of care may have outweighed the benefits. The 2012 follow-up article entitled “Effect of early palliative care on chemotherapy use and end-of-life care in patients with metastatic NSCLC” (PMID 22203758) offers some additional information but leave many questions unanswered. Authors showed that the overall number of chemotherapy regimens did not differ between standard care and early palliative care groups. More early palliative care patients appeared to choose no chemotherapy but the differences were not statistically significant. Further, more early palliative care patients appeared to choose to receive 3rd and 4th line chemotherapy, but these differences were also not statistically significant. Important unanswered questions include, 1) was all first-line chemotherapy identical? Did early palliative care patients receive less toxic first-line chemotherapy than standard care patients? 2) Is first-line chemotherapy defined as whatever regimen was provided first, or could it have been the second regimen tried on a patient? This may be one explanation of why early palliative care patients had (non-statistically significant) greater use of third- and fourth-line chemotherapy regimens. If these 3rd and 4th line regimen were thought to have lower side effects, patients receiving early palliative care may have chosen to utilize less toxic but potentially less evidence-based 3rd or 4th line regimen. The Temel study showed that early palliative care prolonged survival compared to standard care. An equivalent description of the results would be that standard care shortened survival compared to early palliative care. Currently, we do not have enough data to determine which interpretation is more valid. Hopefully, additional data from this study will shed light on whether current standard care is being inappropriately applied to older, sicker patients leading to shortened life. Another explanation is that those trials showing that chemo prolongs life are generally placed against a vague "best-supportive care." If "best-supportive care" is some oncologist who believes it is his or her job to maintain false hope and not aggressively treat symptoms, perhaps that is another explanation. Maybe the Temel article simply defined best supportive care. Agree. At this point, shouldn't all chemotherapy trials in patients with advanced cancer include concurrent palliative care in both arms? Couldn't you also say that standard cardiac care shortens life? There are many intrinsic factors not easily identified that prolong life when patients receive palliative care on hospice. The holistic concept of palliative care brings access and interventions that prolong life. Unfortunately these interventions are nonexistent in standard care. The question is how do we raise the level of "standard care"? As provocative as this claim may seem, I don't think the survival advantage in the early palliative care arm in the Temel et al study can be explained by it (disclosure: I was involved with the study when I was an attending physician at MGH and am a co-author on the paper). The more likely explanation, which is consistent with the study's finding showing an association between less aggressive care at the end of life and longer survival, is that it is the "aggressiveness of care" that likely contributes to patients dying sooner than those who have made decisions to pursue hospice care, for example, earlier on in their disease trajectory. It may not be that palliative care offered a survival advantage, per se (although one explanation for the survival advantage is that the patients in the palliative care arm were significantly less depressed and this may impact their outcomes). But rather palliative care involvement was important in preventing (and protecting) patients from aggressive (and often harmful) care at the end of life when there is likely little benefit. It is not controversial to say that vulnerable and debilitated patients with advanced cancer should probably avoid hospitals and ICU's; a care plan focused on their comfort would be more appropriate and protect them from the harms associated with hospitalizations. Other studies comparing hospice patients with those who have not received hospice have shown a similar survival advantage (although these are not RTCs). Speaking as an Oncologist and a Palliatice physician I can tell you that this paper continues to get exraordinarily favorable acceptance in the palliative care field but many of my Oncology friends aren't buying it. The same doctors that would leep to give a toxic drug that improves survival from 4 to 5 months drag their feet when referring to hospice. The difference is hope. Chemotherapy offers hope and palliative care has been unable to generate the same amount of hope. The FDA is not helping as these new drugs are being approved in expeditied fashion as they are "breakthrough" drugs filling an unmet need.